Course details: Making Tax Digital has taken a bit of a backseat to Brexit, but will have a massive impact on those businesses that are VAT registered with a turnover of over £85,000. 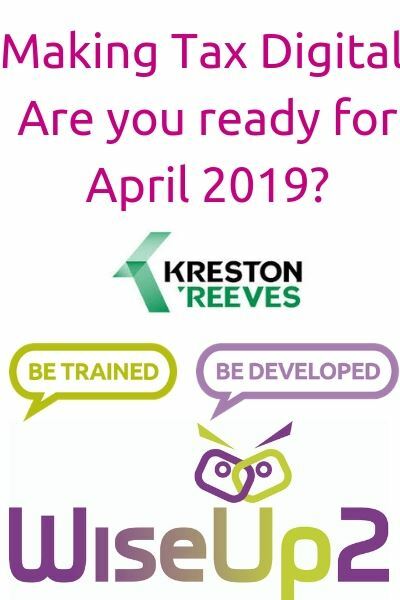 Join Jake from Kreston Reeves who will be detailing the changes and impact to your business, and what you can do now to make the most of this opportunity to go digital. What will I get out of it? You will leave the course being enlightened as to what MTD is, how it affects your business, and what tools are out there to comply with the new laws. Above all of this, Jake will introduce you to the latest automation techniques which will not only allow you to comply, but also streamline your financial processes and free up time for you to develop your business.